Interference-aware modeling greatly simplifies many complicated modeling tasks. We interactively fit the ogre with a shirt made for a human. We use our ability to fix existing intersections in a mesh and then “shrink-wrap” the shirt on the ogre, ensuring a perfect fit. While often a requirement for geometric models, there has been little research in resolving the interaction of deforming surfaces during real-time modeling sessions. To address this important topic, we introduce an interference algorithm specifically designed for the domain of geometric modeling. This algorithm is general, easily working within existing modeling paradigms to maintain their important properties. Our algorithm is fast, and is able to maintain interactive rates on complex deforming meshes of over 75K faces, while robustly removing intersections. Lastly, our method is controllable, allowing fine-tuning to meet the specific needs of the user. This includes support for minimum separation between surfaces and control over the relative rigidity of interacting objects. Bunny scaled inside a teapot. 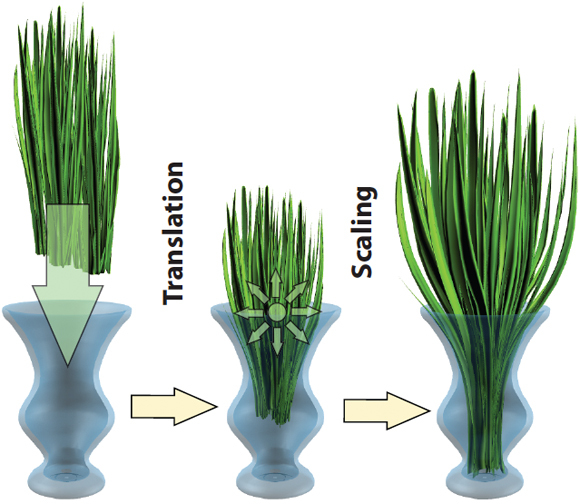 Plants modeled while resolving contact with the vase. 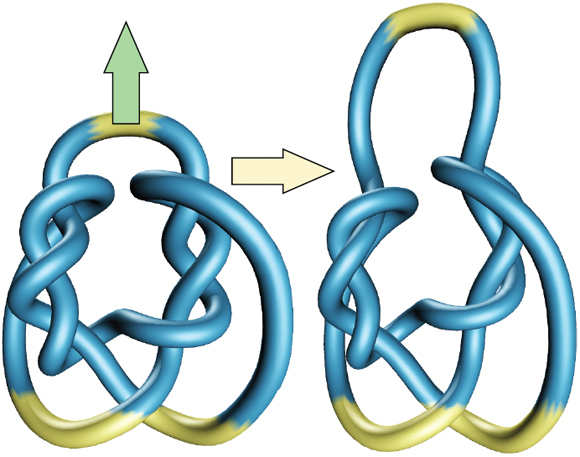 Laplacian surface editing of a knot, with interference handling. We thank Optitex for providing the ogre shirt mesh. This work was supported in part by the NSF (awards DMS-0602235 and IIS-0905502) and Adobe Research. The first author is supported by a CRA Computing Innovation Fellowship.